With less than a week to go until the school summer holidays I feel I need to start getting myself ready for the summer holidays. The children have got new t-shirts and shorts, the hats and sun tan lotion are sitting on the side and the sandals are ready for days at the beach. I, on the other hand am not ready at all. As a northerner at heart I tend to feel the heat much more than my children and being pregnant only increases this feeling of being hot and bothered all the time. Determined to make sure that the children have the best summer possible I’m looking to embrace the summer sun, scattered showers and the sand between my toes despite looking like a freckled strawberry. 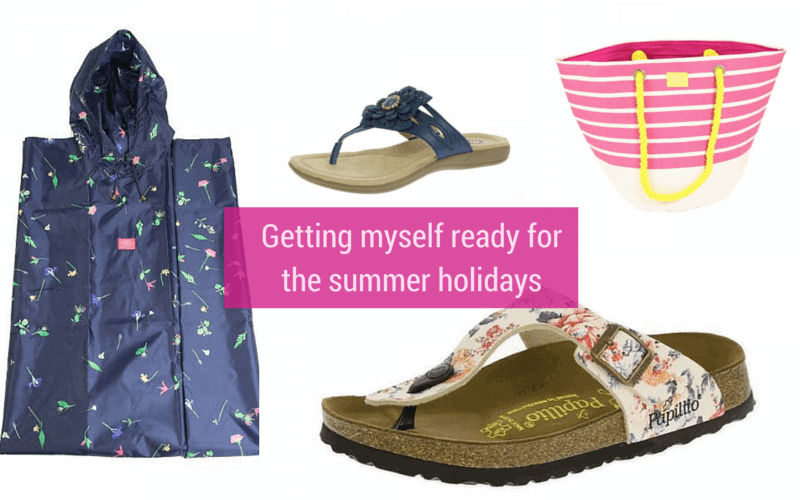 As the children have been treated to some new summer essentials it’s only fair that I get a few essentials too… So I’ve been looking over on Shoetique to get some new sandals that will help me keep up with the children whilst helping keep my feet nice and cool in the summer heat. Usually I go for a sandal that has a back strap rather than a flip flop style however as my feet are swelling due to a combination of heat and pregnancy I want to get a sandal I can easily slip on and off. My love of shoes has obviously meant that I couldn’t just settle for one pair so I’ve managed to find two pairs that I like and will hopefully go with almost any outfit (not that it will matter soon as the rate my bump is growing I won’t be able to see my feet soon!). A shopping spree wouldn’t be complete without an accessory or two so knowing what the British weather is like I’m loving the Joules poncho which hopefully will accommodate my growing bump as I’m finding it difficult to get a maternity waterproof coat. I’ve added a new summer bag perfect for trips to the beach, days out or just whilst we are out and about because a girl can never have too many bags (Mr Boo might disagree!). 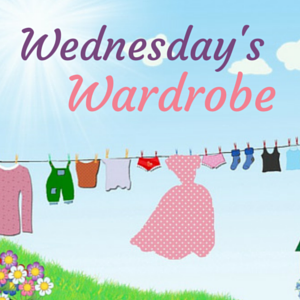 Join Boo Roo and Tigger Too, Emma and 3 and Frugal Family celebrating all things clothing, shoes and accessories in our weekly Wednesday’s Wardrobe linky – please add your fashion related posts in the comments below and share the love by visiting other bloggers who have joined in. I agree – pregnancy and heat do not go well together. Luckily I am not pregnant, I wouldn’t be able to take the the +35 degrees and 90% humidity that we have here in Japan for 3 months of the year. I love my shoes and this summer I am focusing on growing my shoe collection. Great post.